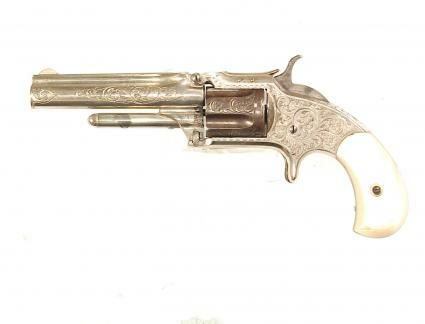 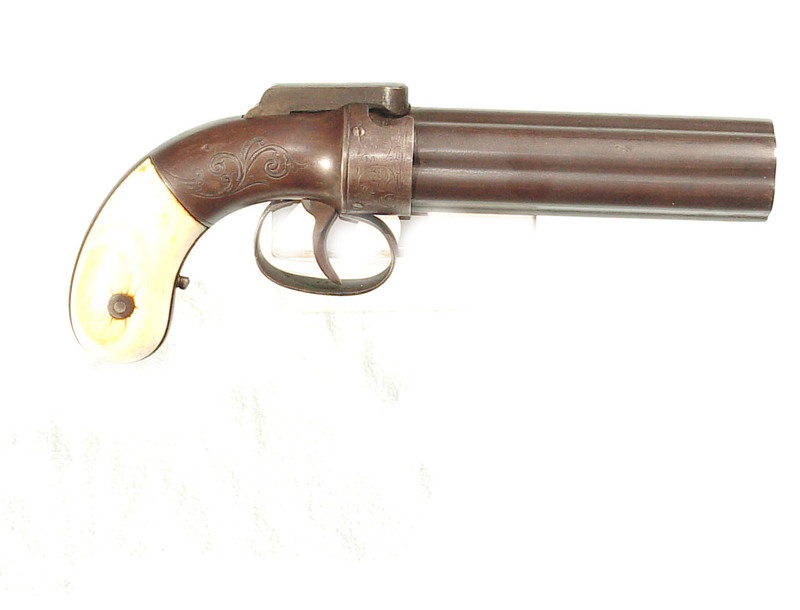 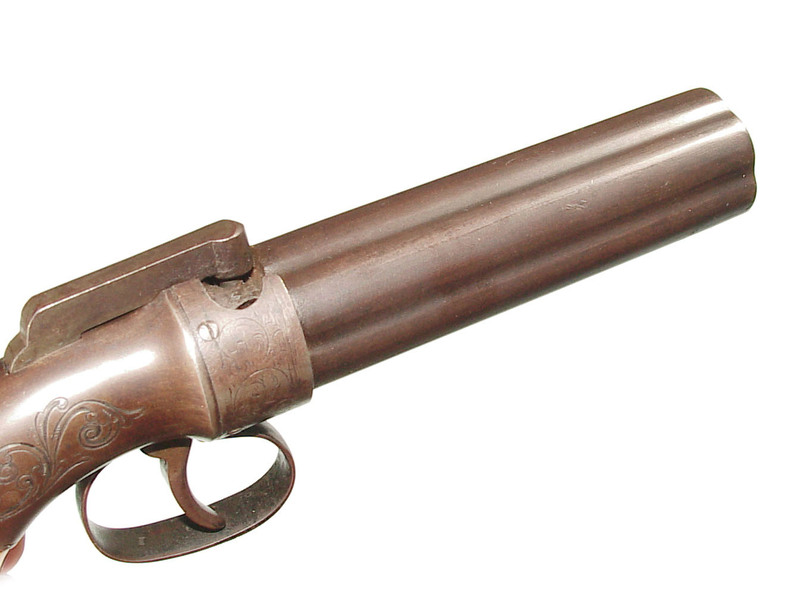 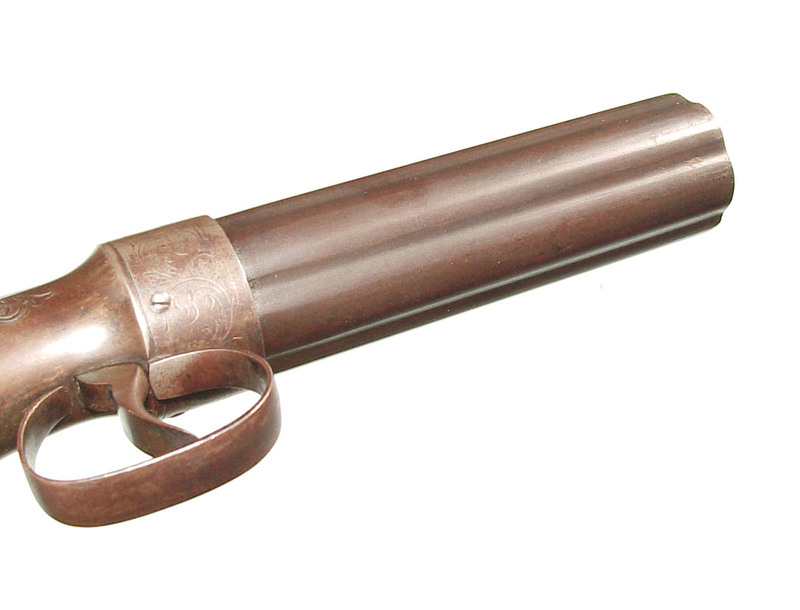 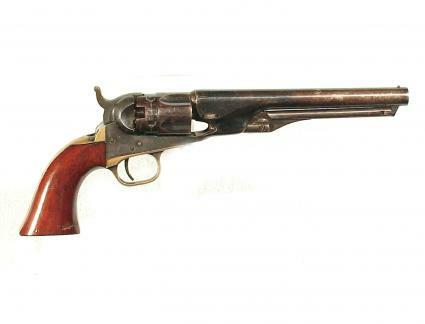 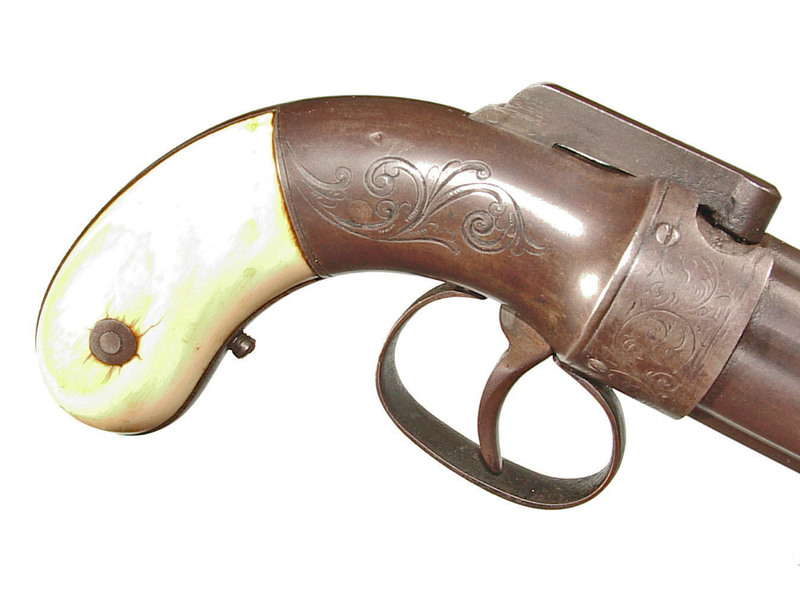 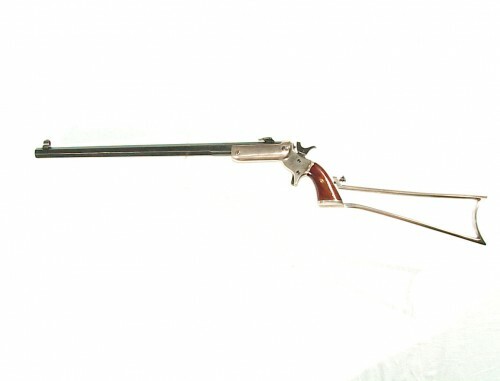 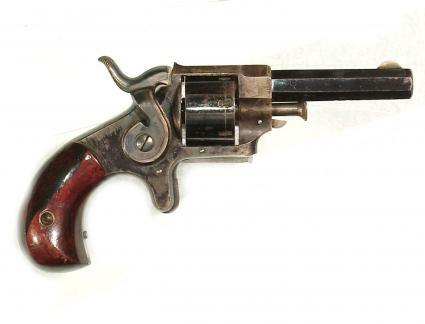 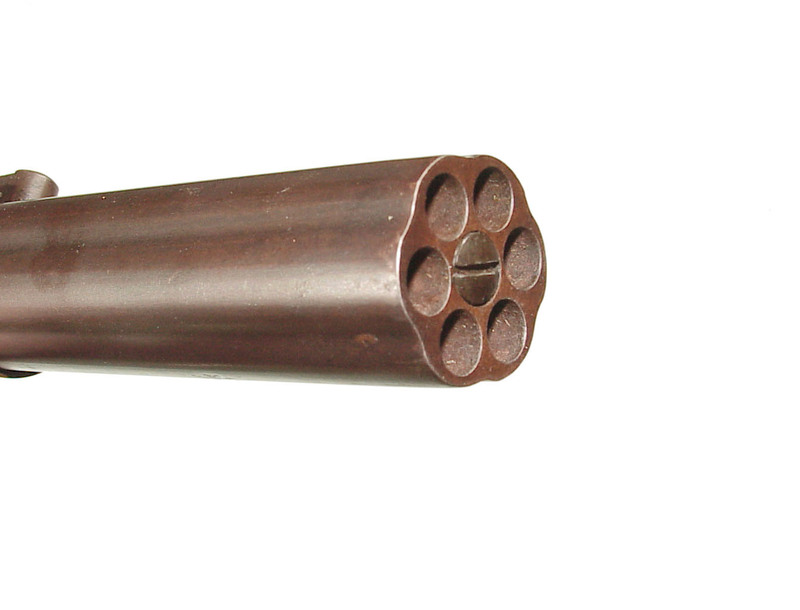 .31 cal., 5″ barrel marked “WORCESTER”. 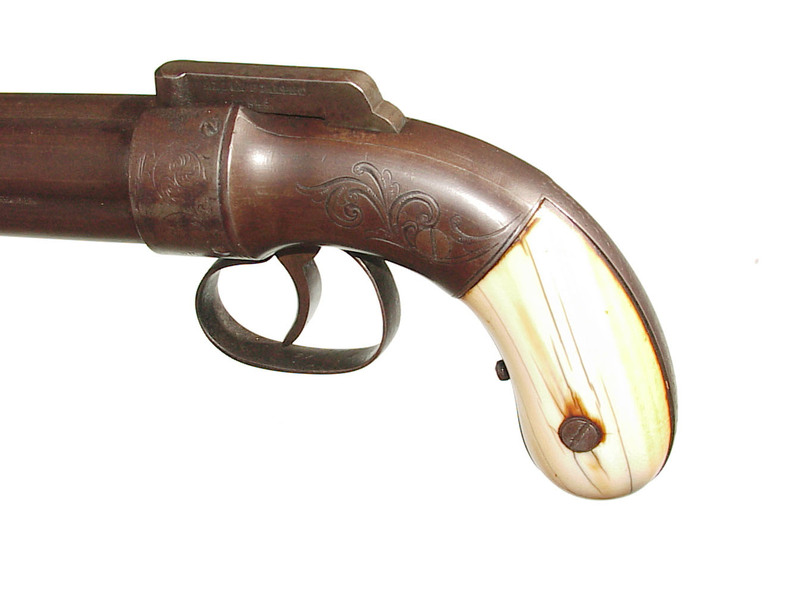 Bar hammer, Norwich style grip and ivory grips. 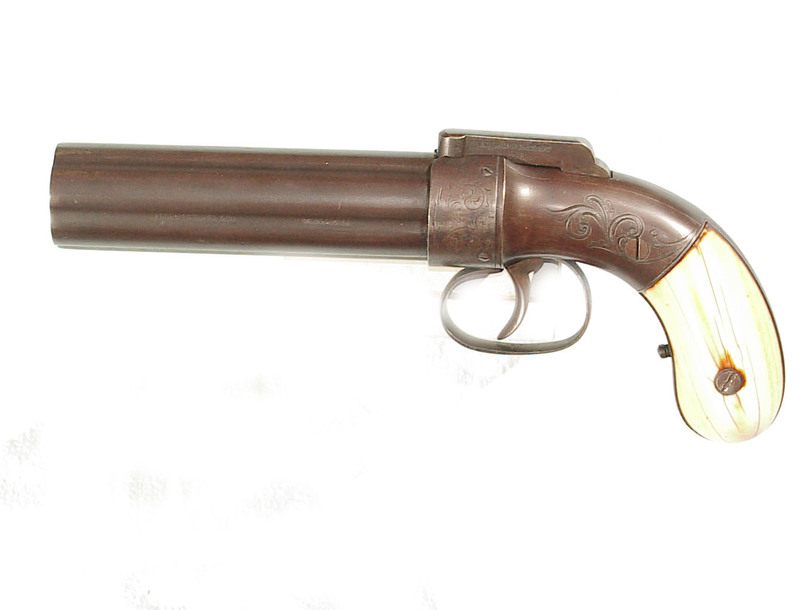 In nice original untouched condition showing an even brown patina. 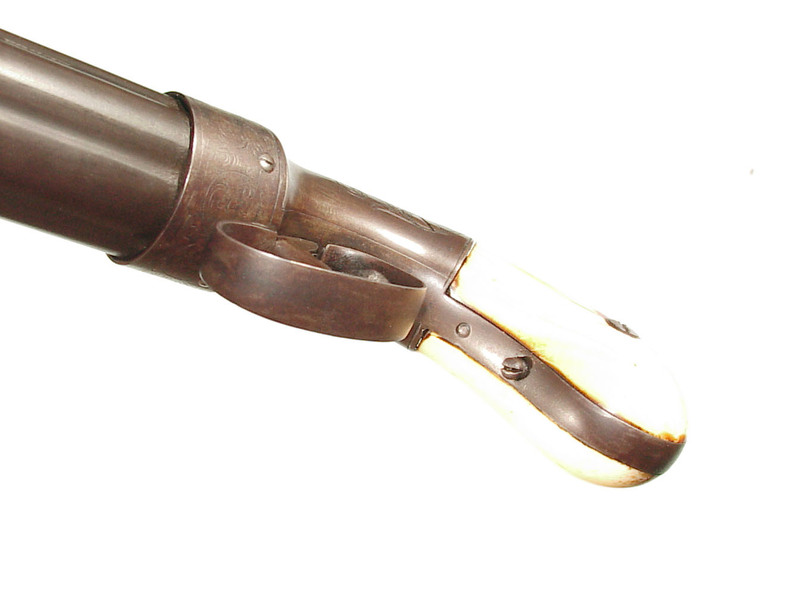 Nice aged grips and mechanically excellent.